In Hindi Indian society there are varying levels of strictness of their religion (as in all religions). But in all castes there is a despising and alienation of the â€œuntouchable.â€ The â€œuntouchablesâ€ are the lowest caste and there are many societal rules that are imposed upon them. Many are beaten, paraded naked through the streets, raped, and even killed for offenses as minor as plucking flowers (see article link below) or doing jobs other than what they are allowed to do. Most of their jobs are extremely menial such as cleaning sewage with their bare hands or hauling rocks in fields. With over 80% of the country being Hindi and itâ€™s belief in Karma and reincarnation there is the belief that if you are born into the lower castes, or have a disease to become an untouchable then you must deserve being mistreated because of your sin in a past life. Those in upper castes regulate these lower untouchables to keep them in their place and to ensure that extremely cheap labor and menial jobs are done by these people. Â One of the lowest of the low is the life of a leper. Today we had the privilege of touching the untouchables.Â When we got into our cars to visit a leper colony I was expecting to be traveling an hour or so out of the city, or at least to some distant area of the city. But we were in our cars less than ten minutes. The colony was under a large bridge that ran through the middle of the city. Â Indian homes, shops, and thousands of people surrounded the leperâ€™s shanty. Could they really sleep knowing that people were suffering so greatly and being so close? When we arrived most of the occupants had already left to beg for the day. 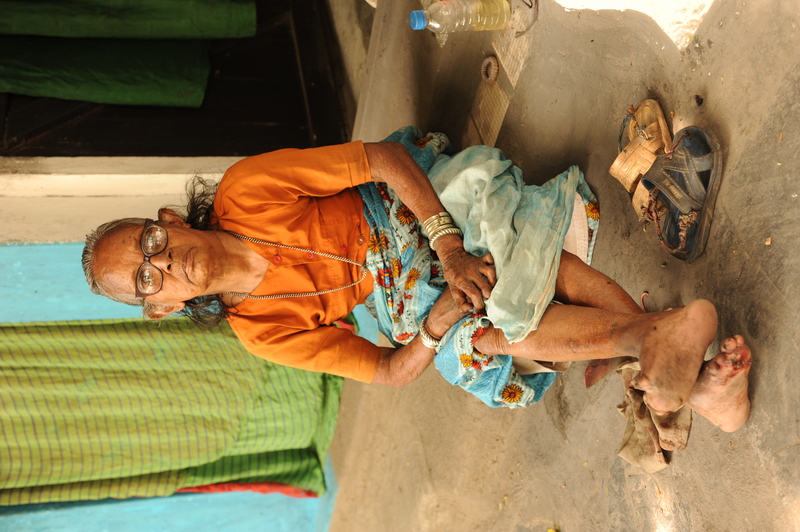 Begging is the only â€œoccupationâ€ those with leprosy are allowed to do. Most of those left were small children, and those not physically capable of begging. 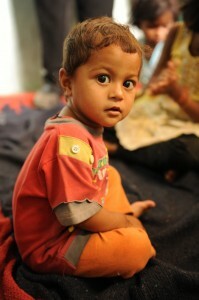 Â Their homes are nothing more then rock floors, ropes strung between trees with rags for walls. Their bathrooms are small pieces of property covered with trash where the entire colony goes. I cannot even begin to describe the smell â€“ but it was awful. 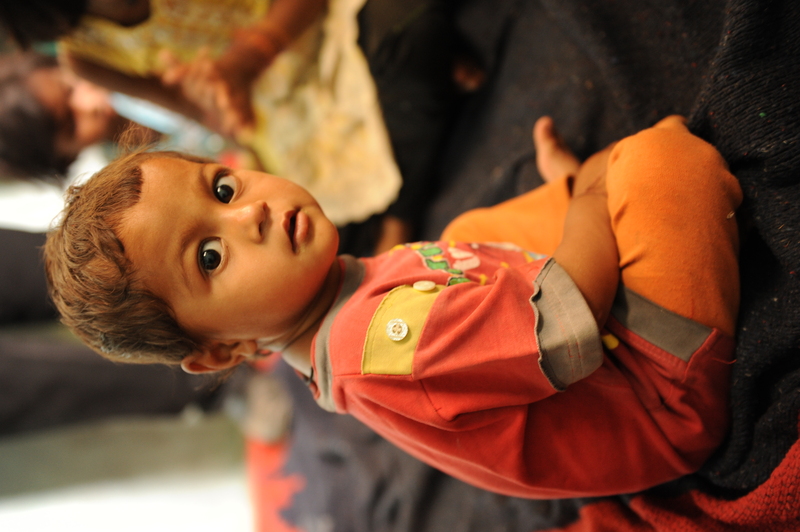 Children go about without clothes and the adultâ€™s clothes are nothing more than rags pieced together. Those lucky enough to have some sort of structure to live in are crude and small. There is a cure for leprosy, so the fact that it not given to these people is even more horrific. Three antibiotics given for about a year period and costing less then $300 would change these peopleâ€™s lives forever. 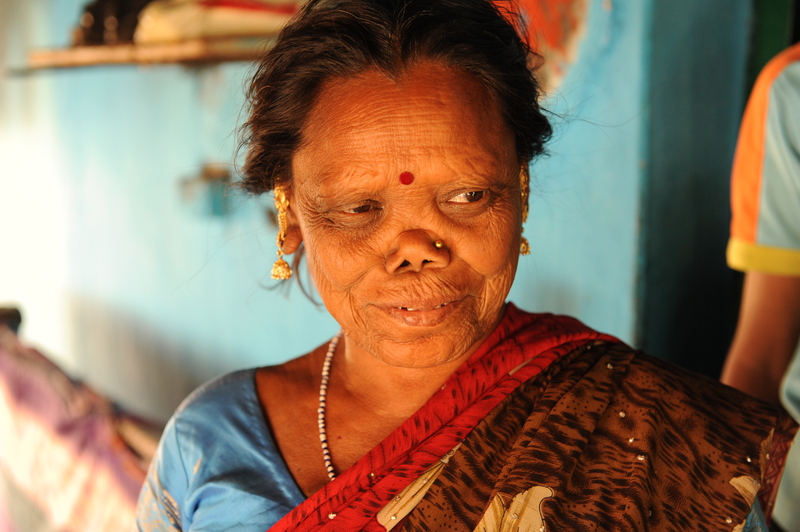 There is a 0.1% chance that once they are treated that they will not recover from leprosy. The Hindi followers place so little value on the untouchables lives that they wonâ€™t even give them the cure. So millions of people suffer â€œthe living death.â€ Unlike HIV or STDs, no one knows how leprosy is contracted or how it is passed from person to person. 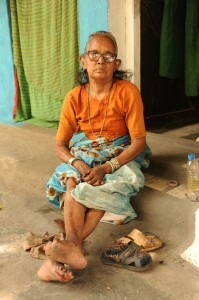 One of my assignments on this mission trip was to identify an â€œunreached people group.â€ Currently in many Indian cities there are leper colonies that have no IMB contact and there are no works taking place in these colonies.Â When we went in and shook their hands, made eye contact, and smiled â€“ we became â€œrock starsâ€ in the colony. Everyone came out of their â€œhousesâ€ to see us, and joined us for an impromptu worship service and time of prayer.Â They wanted to have pictures taken of their deformed rotting Frankenstein bodies perhaps in a hope that those that saw them may help them.Â It is my suggestion that if anyone would be open to the gospel and in need of our help in India then it would the untouchables with leprosy. For further information on â€œuntouchablesâ€ click here. For more pictures of the leper colony click here. An “unreached” or “least-reached” people is a people group among which there is no indigenous community of believing Christians with adequate numbers and resources to evangelize this people group.